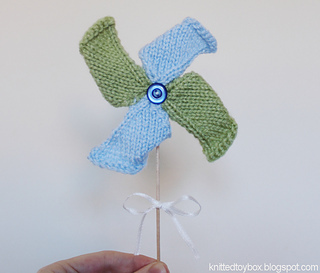 Make you own little pin wheels as cute décor, toys or party accessories. 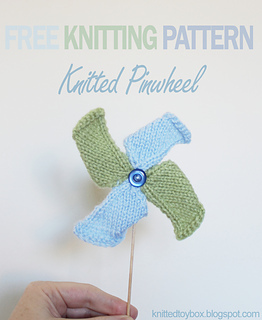 The instructions given using a dk weight yarn and 3.25mm needles knit a pin wheel 4.5” x 4.5”, however adjusting the yarn weight and needle size will make a larger or smaller pin wheel. Remember to show off your finished work, I’d love to see them.